VIRGIN ORGANIC CAMELLIA SEED OIL (camellia sinensis) Commonly known as “green tea seed oil,” it is extracted from the seeds and is yellow in color with a light, nutty flavor. 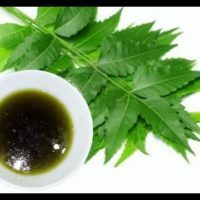 It has fewer saturated fatty acids and more monounsaturated fatty acids than olive oil, high levels of vitamin E, and contains polyphenol antioxidants along with high levels of oleic acid (more than 80%), as well as linoleic acid, alpha-linolenic acid, stearic acid, calcium, potassium, tri-terpenes, saponins, and squalane. Camellia oil is used for cosmetic applications, often in soaps and creams. Because the oil is easily absorbed without a greasy feel, it is often used to keep skin hydrated as well as to condition and strengthen hair. Once opened, this oil has a shelf life of 2 years.